The residents of Elwood, Ill.—home to North America's largest inland port—didn't picket when community leaders announced their plans, more than a decade ago. Not at first. A struggling town blighted by contaminated land and the loss of American manufacturing, Elwood, population 2,279, welcomed the prospect of becoming a logistics hub with open arms. But that was before developers left it strewn with broken promises—low-wage jobs, crumbling infrastructure, insane traffic and, in a first for a largely rural community, air pollution. "It was largely welcomed by the community," says Stephanie Irvine, a resident of nearby Jackson Township who helped lead recent protests against plans to build a second port. "No one had the foresight to know what was actually going to happen when they agreed to build the intermodal. It wasn't a project that was hotly contested, mostly because nobody thought it would turn out like it did." Although she lives some 1,500 miles from Salt Lake City, the similarities between Elwood's CenterPoint Intermodal Center, and Utah's proposed inland port are striking. CenterPoint is located in part on land contaminated by a former ammunition plant, and partially on protected prairie habitat. The tracts of land designated for Utah's port include a leaky old landfill, and valuable Great Salt Lake wetlands. Both are located just off interstates known as I-80. Both have promised jobs and economic growth. But construction began at CenterPoint in the early 2000s, giving the local residents enough time to evaluate the progress—and decide that, when a second port was proposed, this wasn't the kind of development they wanted. This time, the community rallied in opposition—and won. With further development on hold for the time being, Irvine says, communities considering similar projects now have an opportunity to learn from the mistakes made in Elwood. It's not that this form of development can't be beneficial, she says, but the community needs to be involved from the onset to ensure positive outcomes. And while Utah's port proposal has been contentious from the onset, it's not clear whether the public's voices will be taken seriously. To Irvine, the central problem with the CenterPoint Intermodal Center is the broken promises. Trucks do not use designated routes to avoid traveling directly through the village, where they've become a hazard. On I-80, the severity of traffic incidents has increased with the rise of wrecks involving semis—trucks from CenterPoint now represent some 30 percent of the traffic on nearby freeways. The town's infrastructure is crumbling and diesel fumes have degraded the air. And what did Elwood get in return? A new town hall and a Dollar General, Irvine says. "It's not like it made the community so much better," she says. Instead, the economic situation in Elwood is such that "the age of the population is declining to the point that there is concern that the schools may close, because no people with young kids are moving in." This is the No. 1 complaint among locals—the broken promises about jobs. Irvine estimates that CenterPoint has created "maybe 1,600 jobs, but that comes at the price of changing our lives forever." The thing is, these aren't desirable jobs, Irvine says. The construction gigs were decent, but the warehouse jobs that follow them are "low paying, low skill—and they're not even full-time jobs. So it doesn't benefit the community." There are now more than 300 warehouses associated with CenterPoint, and just shy of 100 temporary staffing agencies that supply more than half their workers. The exploitative nature of these jobs led locals to form Warehouse Workers for Justice, an advocacy group dedicated to improving warehouse working conditions. "We definitely think that these could be quality jobs," says Roberto Clack, associate director at Warehouse Workers for Justice. "But the way things are now, there's a lot to be desired." Clack believes locals initially supported CenterPoint because the developers promised jobs. When the port was proposed, he says, unemployment in the region was especially high. The steel mills and other large employers had begun to disappear, leaving hordes of residents without work. "People were really enticed by the idea of good warehouse jobs," Clack says, "and that's never really manifested." Don't mistake—there are plenty of jobs to go around. "If you're well bodied, you can get a job," he says. "But they're low-wage jobs" and subject to a problem Clack has dubbed "permatemping." Instead of hiring full-time employees on their own, Clack says, the majority of local warehouses hire temporary workers from one of the many local staffing agencies. Typically, he says, workers will be told that if they stay on for a certain number of days or months, the warehouse will eventually hire them full time. But that's rarely the case. "In this absurd kind of way," Clack says, "they will get told they're not going to be hired, but get called back again by the very same warehouse" hoping they'll temp for them, again. Residents can spend years stuck in these permatemping situations, Clack says. One study found that some 63 percent of all warehouse workers were sourced through these sorts of temporary staffing agencies. In addition to the instability of the work, the jobs available at local warehouses are frequently dangerous, Clack says. Work in the warehouses tends to be fast-paced, with heavy equipment and trucks racing to meet deadlines alongside the crews working to unload them. Workers have been hit and killed on the job. Exposure to diesel fumes while performing hard physical labor has been known to trigger heart attacks. Some of the warehouses have no heat in the winter. Managers sometimes fail to provide safety gear or will cut corners to increase profit margins on a job. And on top of that, Clack says, the warehouse workers have recurring issues with wage theft and discrimination. Wages are up in recent years, Clack says, but with rates sitting around $15 an hour, it's not the kind of money necessary to support a family—and that reflects on the town, he says. While Elwood no longer faces economic collapse, the residents don't seem to take the same level of pride in their community, Clack says. "It looks blighted to me." And it's not just the jobs that don't pay, Irvine says. Desperate to make use of otherwise undesirable land, Elwood gave developers within the CenterPoint development handsome tax cuts, believing the developers would prove right about bringing in support businesses—hotels and restaurants—that would make up for the revenue lost to tax breaks within the port itself. The port "grew much faster, in terms of traffic, than anyone projected," Irvine says. "All the numbers ended up being way higher than they initially predicted." Except for revenue, which never caught up. Before it became apparent that the support businesses were never going to show, Elwood took out significant debt to build infrastructure to serve the port. Now, the town struggles to pay its debts and maintain local roads. This is why, when a developer proposed a second port area near Elwood called North Point, the community pushed back. Although local officials tried to keep their plans for the area under wraps, maps of the would-be port were eventually leaked online. "Once we realized where the project would be, we started going to village board meetings, got to know our neighbors, and ... decided this wasn't really something we wanted for our community," Irivine says. When the town planning-and-zoning commission finally held a hearing on North Point, she continues, over 100 residents arrived to speak, mostly in opposition to the project. It took 14 hours over three days to hear everyone out, and then "without asking a single question or any discussion, they voted to recommend the project to the village board," she says. But that's where North Point essentially died. The community created such an uproar, Irvine says, that multiple officials were forced to resign. The mayor of Elwood canceled the scheduled hearing on the project and the North Point developers withdrew their application—only to re-file for a smaller facility with the county. "It's like mom said no, so now we're going to ask dad for permission to build the project." Irvine says. Whether they'll get that permission remains unclear. The county has yet to hold a hearing, Irvine says, and "pretty much every taxing body in the area has filed objections to the project." Elwood has already filed a preemptive lawsuit, asking a judge whether they're required to cooperate with any county-endorsed development. It's not that the locals are against warehouses and ports, Irvine says. But this time around, they're aware that promises can be broken. If anything can prevent a repeat of CenterPoint, she says, it is years of careful government study, coupled with ample public participation. "The rose-colored glasses have to come off, and realistic projections made," she says. When that happened with the second port, everything changed. Neighbors arrived at public meetings armed with facts; county and even state officials showed up to back them. "Understanding what we are capable of has been pretty awesome," Irvine says, "because we are coming from communities that are very small, and I think the developers thought they would come in and we were going to be a bunch of dumb hicks and they were going to steamroll right over us. We were able to assemble an opposition that made a huge, huge impact. "It's a lot of work, and it's not for the faint of heart, but it absolutely can be done." The one piece of good news to be had out of Elwood, as Salt Lake community activist Deeda Seed sees it, is the fact that locals believe they could have made a difference had they become engaged earlier in the process "because our community absolutely has been engaged since the beginning, and that engagement has been growing with each day that passes." 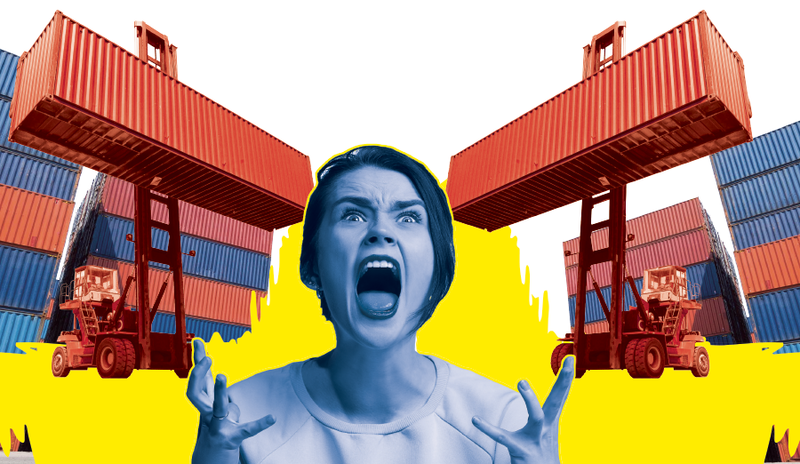 Salt Lake-area residents formed a loose coalition in early 2018, just as the legislation creating the Utah Inland Port Authority was made public. The group now has about 1,000 members on its mailing list. 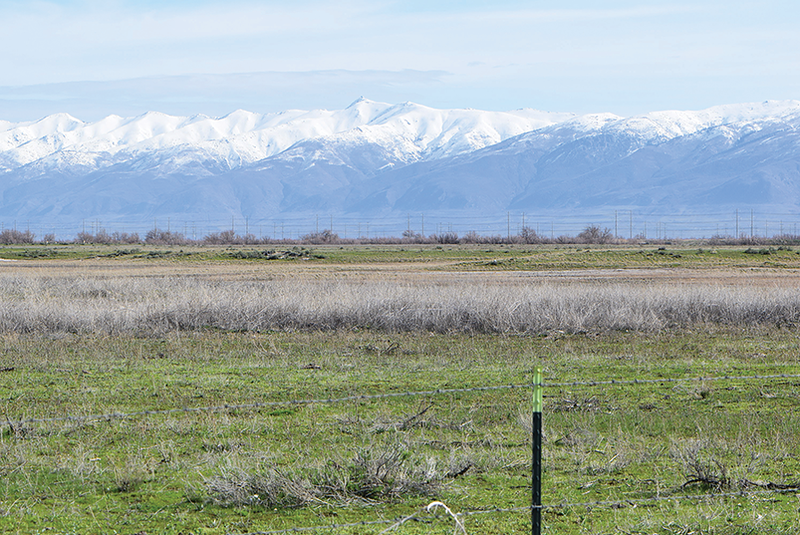 Seed, who has worked in advocacy for some 30 years, suspected Salt Lake residents would have something to say about the port—the community is increasingly progressive, and many who live here do so because of the landscape's natural beauty and recreational opportunities. But the sustained intensity of the opposition has surprised her. "This is the most community engagement I have ever seen on an issue like this, that is very sustained, and the vast majority of people working on it are volunteers," she says. "It's impressive to see." The coalition continues to attract new participants, and many of the volunteers have started their civic service young—some are still in high school. To Ari Bruening, president of Envision Utah, intense public interest in the port's development is a sign that public engagement probably should have started long before now. "The idea has been around for decades," he says, "And there has been a real hunger for people to participate and weigh in for a long time." Envision Utah was tapped this January by the Utah Inland Port Authority to conduct a series of community surveys on what the future port ought to look like. And trends have already begun to emerge, Bruening says, especially citizens' preference for manufacturing jobs over warehousing. "Almost to a person, what I've heard is we would rather be making things here and shipping them out," he says, "than just taking containers and unloading them here instead." In addition to economic concerns, Utahns routinely express worries about how the inland port will impact local air and traffic, with air quality and job quality trading places for top priority, depending on who's being surveyed, Bruening says. That mirrors issues raised by Seed's community coalition, although the coalition's language takes a decidedly environmentalist angle with questions about light pollution, noise, land use and conservation. Jobs also are part of the discussion within the coalition. In early discussions about the port, Seed says, officials seemed to imply that distribution businesses would encounter favorable labor conditions in Utah because it is a right-to-work state with few unions. Although the process could have started earlier, Bruening says, it's not too late to shape Salt Lake's economic future. "The thing that ought to give people comfort is, there really isn't a concrete plan for what the inland port is yet," he says. As Envision Utah continues to survey the public, Bruening says, scenarios for how the port could be developed will emerge. If, for example, the public continues to favor clean, high-tech manufacturing over warehouses, Envision Utah will consult experts in those industries to determine what facilities or incentives would be necessary to attract desired businesses. Several scenarios based on citizen input will be drafted and submitted to the public for additional feedback, Bruening says. But it's still too early to say for sure what those scenarios will look like. In the three months that they've been on the board, Envision Utah struggled to reach residents on Salt Lake City's west side, particularly low-income and minority populations. Envision Utah has already released surveys in three languages—Spanish, Samoan and Tongan—in addition to English. They've held special meetings and launched media campaigns targeting the west side. "It's important that we make sure that voice is heard," he says. "I'd hate to come up with some sort of plan we think works, and those who are impacted the most don't know anything about it and haven't weighed in." Seed suspects she knows why some residents have failed to engage with the Envision Utah process: "It's a game, and people aren't buying it." The community coalition meetings, she says, have been very diverse, although they too plan to do more outreach on the west side of the valley. As Seed sees it, the Utah Inland Port Authority hired Envision Utah to essentially co-opt the civic process. Rather than truly listening to the community, she says, Envision Utah has presented the public with a baseline scenario that suggests massive growth is inevitable, and that the port will help reign in and control rapid development in the Northwest Quadrant. To Seed and many other residents, Envision Utah's behavior smacks of public relations, not public engagement. "We're all very skeptical of their process because ... right now they're just being spin doctors will all of this," she says. "This thing is a disastrous proposal, and it's amazing that Envision Utah is cheerleading for it." But not every public official in Utah supports building the port. 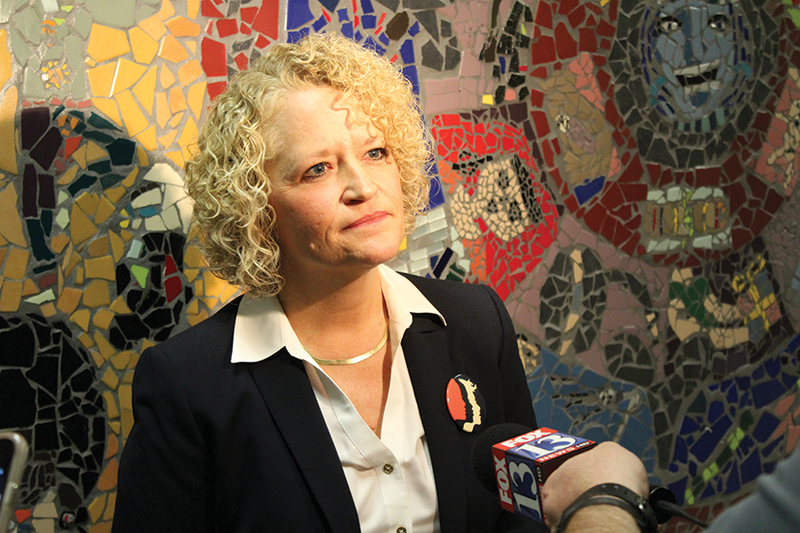 Salt Lake City Mayor Jackie Biskupski is a "champion" who is "standing with us," Seed says. While others view community interest as perhaps the only positive outcome tied to the port so far, Biskupski worries state officials have deliberately sidelined the public. First, there was the initial 2018 legislation that created the Utah Inland Port Authority—that bill was introduced late in the session and consequently didn't get a public hearing. Public input on this year's legislation restricting the ability of the city to weigh in on the port's development was similarly limited, she says. "I think it's time that the state reveal exactly what they want to do," Biskupski tells City Weekly. "That has always been the issue here, is the lack of transparency, and this desire to just overrun a local community, and the only reason to do that is because you're hiding things that you know the community will not get behind." The mayor, like Seed, suspects Envision Utah has struggled to engage some Salt Lake City residents because the state-funded surveys require citizens to answer questions that assume the port's development is a given. "Nobody wants to participate as if they want this to happen," Biskupski says. "The community is frustrated, because they know it's a farce, that it's all a game, it's all for show. What is the point of getting together and acting like we're in this together? Because we're not in this together. This is getting rammed down the throats of Salt Lake City residents." It would be better, she says, if the port authority released plans before asking for feedback, rather than the other way around. By attempting to engage the public before releasing specifics, Biskupski suspects the Utah Inland Port Authority Board has engineered a scenario where, when it finally releases its plans, it will be able to claim whatever it chooses to build is already endorsed by local residents. She worries comments collected by Envision Utah will actually have very little bearing on the process. "They are behind the scenes working on their plan, and then they'll say, 'Voilà, here's our plan, thanks for your input'" and offer very little opportunity for further discussion, Biskupski predicts. Garth "Tooter" Ogden, who represents rural Utah on the inland port board, feels differently. The Inland Port Authority, he says, isn't trying to control Utah's fate. Rather, the board represents a means for Utah to ensure that it has control over future development in the Northwest Quadrant—especially if the state's assertion that like it or not, development is coming, proves accurate. "People need to be paying attention, because whatever goes in and out of that port can be restricted," he says, "but if the port authority goes away, there are no restrictions." Ogden remains optimistic that with public input—the board itself receives public comments each month—Utah will succeed in crafting a port that suits its needs and interests, even on the pollution front. "It's not going to be zero emissions," he says, "but I think you can certainly reduce a lot of the problems, if you're sensitive to some of this stuff." One matter still concerns him. The state, he says, seems determined to offer tax incentives to developers within the port area—and federal tax credits are available as well. If the official story that growth is inevitable is correct, Ogden says, why should the state give away the revenue that could come with the state's newfound popularity? The potential for tax credits worries Seed as well. Carving out a new taxing authority, she says, Utah has opened the door to preferential treatment of "companies that don't really need that kind of help," at the expense of the city's libraries and schools. But if she lacks faith in the officials overseeing the process, Seed still believes a more positive outcome is possible for Utah. "I think community engagement can stop this thing," she says. "We have people power, and we have the port, and we plan to use every option available to us to prevent harm to our community."